On 19th April 2018, Sunmaker hosted Oil & Gas 2020: Challenges and Solutions of Skilling Uganda Forum in Kampala, Uganda. Also, the East Africa Training Center of China University of Petroleum (East China) was launched. There were a great number of training and education specialist attending the forum, including Hon. 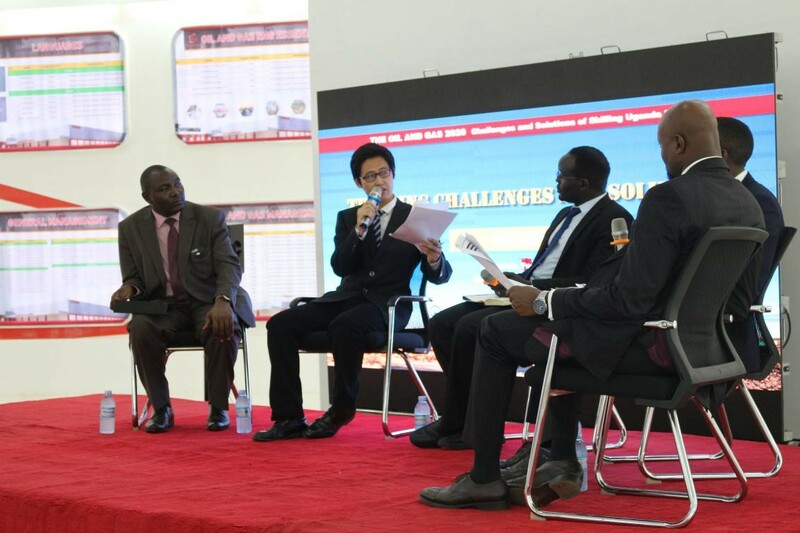 Dr. John Chrysostom Muyingo, Minister of State for Higher Education, Ministry of Education & Sports; Ms. Zhao Xiufen, the Economic and Commercial Counselor of the Chinese Embassy in Uganda; Prof. Liu Huadong, the Vice President of China University of Petroleum (East China), Hon. Richards Jacob Opolot, Vice Chairperson of Parliament Education Committee, Mr. Eric Olanya, Head of Department for International Trade, British High Commission; Ms. Catherine Sanchez,Head of Local Content of Total E&P Uganda Limited; Mr. Jin Weigen, the Vice President of CNOOC Uganda Limited; and Lyu Jian, the General Manager of Sunmaker Energy Service (Qingdao) Co., Ltd.
Hon. Dr. Muyingo complimented on the efforts made by Sunmaker on skill training in Uganda. He also pointed out that Uganda is in urgent need of petroleum vocational training which requires hard work from all parties. 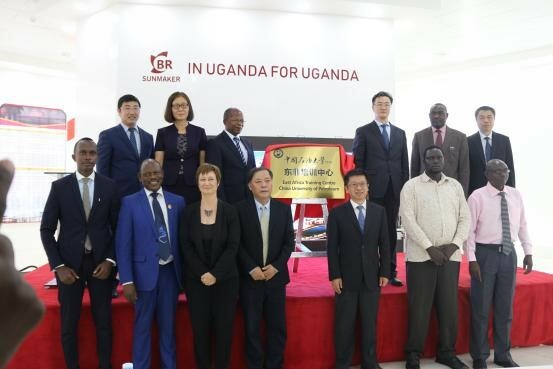 Ms. Zhao Xiufen made it clear that China encourages the investments in the field of HR in Africa and will continue to support more Chinese enterprises to be launched in Uganda in order to strive for local development together. Mr. Liu Huadong said China University of Petroleum will introduce the professional petroleum engineering talent cultivation system and excellent education resources to the training center, in the hope of providing support and assistance for Uganda petroleum talent cultivation and industry development.